This letter is a very long time in the making... I didn't even realize I was going to write it until I opened this up to write. I had actually written the better part of a blog post but took a break, when I came back this was inspired instead. Last week I found out through a mutual friend that 'he' was going in for major surgery. Our friend was shocked that I didn't know; how would I know? I don't talk to 'him'. I immediately prayed for him and asked others to do the same. I then found out he was okay a couple of days later... I was so thankful, I wish I had the words to express how much but honestly I don't have them. I have had a few days to think about it and then I messaged our friend and I told him I no longer want to hear how 'he' is.... I would prefer not to know, he understood and agreed. Over the last couple of days I have gone through a wide range of emotions... from being elated that he seems to be on the mend to being saddened that for how close we were for the last few years, I had to hear this through a friend. Although I have moved on and made my peace with the whole mess that it turned into. It hurt that words were taken out of context and misunderstood and instead of talking about it one on one, I just received written words that never gave me the opportunity to respond. He was my best friend and I will miss that friendship, I know I will love again but will I ever find a best friend again? That is what made losing him out of my life so emotionally hard... how very close we were and how we told each other everything and anything. In this past week that I came to terms with the fact that 'he' and I will not be friends again. I needed to say goodbye, I wanted to send it to 'him' but I figured he wouldn't read it anyway. So I wrote it here to make it real, if I write it where others can see, it becomes more real to me. Good for you for letting go and saying goodbye. Letting go can be really hard. I have a friend (well, former friend I guess) that I've had to let go and sometimes I still struggle with it. Sometimes I just want to write him and tell him that I miss him and that I miss our friendship. But I know that I shouldn't, so I don't. He's also clearly moved on from our friendship, so it wouldn't be right to dig up the past again. If saying goodbye is making it easy for you to heal, then all the power to you. Emotions can be very fragile and we do have to take certain steps to heal ourselves. Please take care of yourself.and don't worry too much. it's great to read you are still on the right way sweety! I think you are so brave to write this! I think it is a good thing to let go and say goodbye sometimes. I am feeling the same about a friend of mine who I had to say goodbye to last year. You are so brave for choosing yourself right now! Take care of yourself and be really proud! Letting go isen't easy.... good for you, you are so brave Launna!!! I wish you a lovely wed!!! So sad, and yet I'm proud of you. Making that leap...wow. Way to go, and here's wishing along with you for future and brighter relationships. I loved reading this, your writing style is so peaceful, lovely post. I can definitely relate on this post. It is weird and hard to go from being so involved with someone's life to learning about them through friends. Definitely an adjustment period. This is so touching, you're so brave! I enjoyed this post a lot. Se retomar uma amizade é doloroso pra você não faça! Algumas vezes é necessário tirar pessoas de nossas vidas! You're so brave, dear! Letting go isn't easy, unfortunately! This is a very touching post. I find it hard to say goodbye as well. It's really tough. te responder e te fortalecer. Bjs. I read your full of emotion post wuth very calm. I think itt's right that said goodbye to him here. 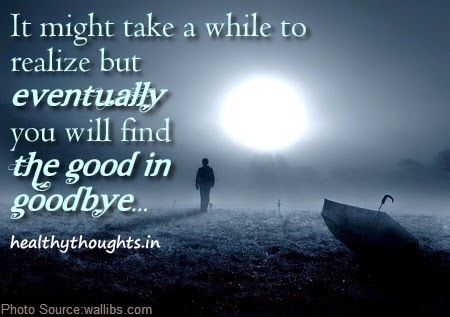 Saying goodbye can be a difficult thing to do, but it does bring closure and help you move on to better days ahead. Sounds like you've had an emotional time lately. Hugs to you. I think you are wise to not want to be kept informed anymore. 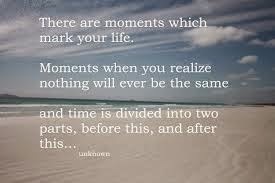 It is one thing to be past something and another to have your nose rubbed in what you no longer have. Good choice. Hugs. Says a lot about you that even in your pain you still wish him well. The last quote is so sweet. Really sums up life. So nice of you to pray for him when he was sick. Good bye are hardest but sometimes its the only choice we have. Goodbyes are never easy. Sending you a hug. A big Hug to you dear! Really nice post launna another life lessons thanks for the visit =) New outfit post pls. shoot me some of your opinions on how to improve my blog. it's great post dear Launna! It's hard to lose some good friends.. But you will finde some great new friends Launna!! Great words Launna!! I hope you are well. Good for you Launna. 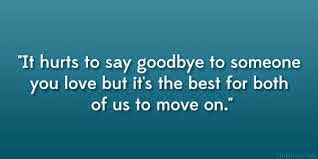 Saying good bye or letting go can be one of the hardest things but down the road it's whats best for you. I'm sure it must have been a rollercoaster of emotions for you this past week. It is so hard to let go. Especially, a special friendship. Stay strong. I know you will. I am proud of you being that bold, because goodbyes are never easy.They are far from it. I always 'console' myself that, for every door closed behind us there are infinite horizon of possibilities awaiting us. We just need to take that first step into the 'unknown'. Stay blessed Launna, hugs. i wish you a wonderful weekend sweety! Launna its like you wrote my heart out!! Its exactly what I am feeling these days, still trying to cope with everything and telling myself again and again that there will be some good in goodbye. Still there comes a point when I just break out and nothing except fear comes in my mind. I find it next to impossible to say goodbye to the ones I love!! You are really strong Launna, be like this! You've taken quite a step! Good for you. And of course you will have other close friends. You will. Know that "he" served a good purpose in your life for a time, but that purposeful time has ended. Not all friends are meant to last a lifetime, but trust me, you will find many other... and better... friends. You will. Now that you've let "him" go for good, it'll be even easier to form other friendships. You are doing the right thing. It is hurtful to hear news through a 3rd party - good news or bad. I'd rather not know either in this situation. I hope that saying it "out loud" gives you some closure. I only just met you at Susan's blog, but I believe you've moved past a milestone here. Good wishes for you as you continue down this path. Launna, This is such an honest approach when a major falling out happens with a friend and I'm actually surprised how well your handled it in both your actions and writing it here. I've actually heard breaking up with a friend can often be tougher than breaking up with a significant other. I always have hope people might patch things up but it definitely sounds like you really thought this through. Take care and have a great weekend! Have I ever told you how much I like to read your posts? For a moment there at first I thought you were saying goodbye to blogging. I am so thankful you are not because I don't even know what I would do. I understand what you are saying and the wide range of emotions you can feel over the one situation often surprises me. I find this so hard too and love your honesty which helps others. it's so stinkin hard saying goodbye and letting go. And I've figured out like everything else, it's a process that takes time. I think you have a great attitude though. You wish him well...that says so much about you. Hugs Launna. I would like to say thanks for the efforts you have made compiling this article. You have been an inspiration for me. I’ve forwarded this to a friend of mine. sometimes you have to say goodbye and let go for something better! I've always found that writing can be EXTREMELY healing! Whether it's in the form of a letter you never mail or a blog (or both), if it helps you work through it, go for it! You seem to have such a big, kind heart, Launna. I think it's a huge thing too that you asked not to hear updates about him. Of course your new best friend is waiting for you, you just haven't crossed paths (yet!). Hoping your daughter's feeling better now, or if not now very soon! Wow Launna, so sad :-( That is not what you calling a great week..
Saying good bye can be very difficult, but sometimes it is better..
Hello my dear Launna! I am feeling so much better now! Thank you for always leaving your sweet comments on my blog! It never fails to make me smile! Love you, dear! <3 And as for your friend, I am so glad that you have decided to let him go. It's not easy, in fact, it takes a lot of courage to do so, and you did it!! YOU DID IT! See, if it is bringing you down, you should let it go! And I am so glad you did!! Dear Launna, it's tough hearing such serious news from someone else but I think you did the right thing. Happy monday My sweet friend! stay strong sweety, i wish you a wonderful new week! Ótima postagem tenha uma semana abençoada. In Poland we say: Do not enter twice into the same river. Sweet Launna have a nice day! when i lost my best friend i felt like that, too. but life goes on ... if they go, they weren't the right ones for you. because true friends will stay by your side, no matter what happens. i am so greatful that i have found some very very good friends in the past few years. you've got wonderful friends, too. friends who love you. i would love to be your friend, launna.